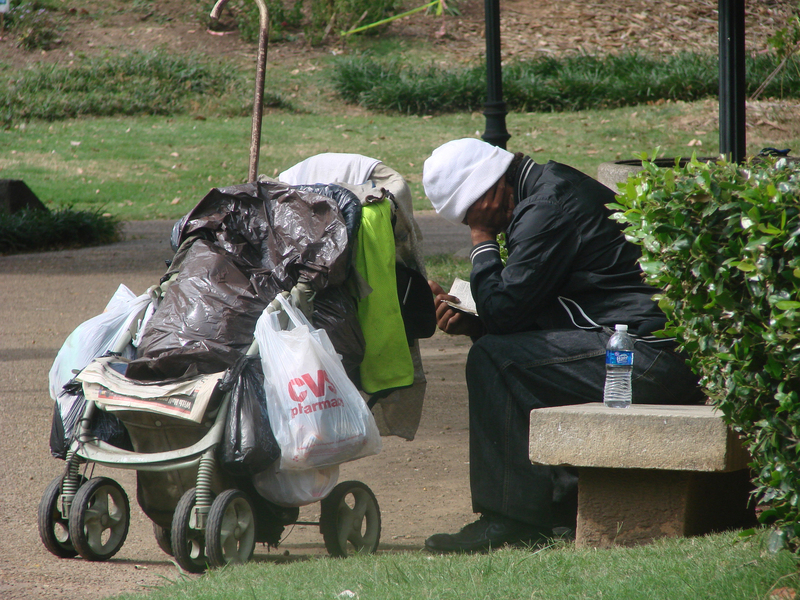 Sobering statistics show how many people are homeless in Atlanta, but not all the reasons why. In Atlanta, out of the over 7000 homeless people in our city, 2000 sleep on the streets at night. In a phenomenon that is as much a health crisis as it is an economic one, some organizations are tackling the problem head-on, to put an end to the epidemic and help Atlantans understand along the way. Because of our high homeless population, Atlanta has been named one of the neediest cities in Atlanta, according to WalletHub. The financial services website placed Atlanta fourth on the list, following Detroit, Brownsville, Texas and Memphis respectively. Though Atlanta does have a large homeless population, it decreased by 16.5 percent from 2015 to 2016, according to National Alliance to End Homelessness’ 2016 The State of Homelessness in America report. The Cause: Bad Decisions or Gradual Dysfunctions? As reported by HomeAid, the vast majority of homeless people have been thrust into the streets by a series of events, or a life altering event that was unexpected and unplanned for. Homelessness is caused by tragic life events such as loss of loved ones, domestic violence, job loss and familial issues such as divorce or family disputes. Occurrences like these can transform someone from being a person in a somewhat stable environment to a daily life in which a place to sleep is not promised. Also responsible for the problem is the slew of untreated mental illnesses, health disorders and disabilities. Dr. Woods said a person losing their job could lead to them not being able to cope with the world, therefore leading to depression and not wanting to leave the house. Those suffering from depression do not always seek help. According to the National Coalition for the Homeless (NCH), there is a common stereotype perpetuated among the public that the homeless population are all alcoholics and drug abusers. While a high percentage suffer from substance abuse, the issue is both a cause and result of homelessness. “A lot of times people who are in their substance abuse will exhaust all of their resources to fuel their addiction and end up homeless,” Rachel Reynolds, PR Manager at Atlanta Mission, said. Substance abuse is a cause in that it disrupts family relationships and can also cause a person to lose their job. For someone that is already struggling to pay their bills, this only makes the situation worse. The NCH reported that a 2008 survey by the United States Conference of Mayors asked 25 cities for their top three causes of homelessness. Sixty-eight percent of the cities reported that substance abuse was the single greatest cause of homelessness for single adults. However, in many situations substance abuse is the result of experiencing homelessness. “I know people who fell into using [because] it was just habitual based on their surroundings and that resulted in the loss of a lot of other things in their life,” Adrienne Bumpers, Atlanta Mission’s The Potter’s House (TPH) Manager of Partnerships, said. TPH, located on a 550-acre farm, does not strictly serve homeless men, but men suffering from substance abuse that might be homeless as well. It functions as a long-term residential discipleship program that serves as many as 180 men. Bumpers said this data was important to the organization because at that time, they did not have trauma-informed care they were offering to those they served. This led them to believing trauma was an issue they needed to further support. The NCH reported that many members of the homeless population have to “combat barriers such as limited transportation and reduced access to educational and training programs.” In a competitive job market, seeking a job as a homeless person is often an insurmountable barrier. According to NCH, mental and physical illnesses also play a vital role in employment participation of homeless people or those at risk of becoming so. Having an illness or disability sometimes results in having difficulty while looking for work. “Some people have mental health where it prevents them from working, so all they can do is wait for their social security claim to be approved,” Dr. Woods said. Dr. Woods said criminal history and maintaining a job are the two biggest employment barriers for the clients at ZPC. Incarceration is also a factor in the inability to secure a job, and can decrease the types of jobs available to those who have been in prison or jail. Woods said Georgia is one of 17 states that do not expunge felonies from a person’s criminal record. Dr. Woods said the people interview well and get the job, but then might not know how to successfully deal with conflict at work – so then their hours get cut, they quit or get fired. ZPC, an Atlanta shelter for homeless couples that is solely funded by donations and grants, helped 55 percent of their residents to get jobs while they were enrolled in the shelter’s program. Fifty-eight percent of their residents found permanent housing. Over the years, homeless shelters have incorporated into their services programs to help residents with job training and searching. Atlanta Mission utilizes a vocational training program in order to help prepare clients for obtaining and maintaining a job, to receive their GED and polish their resume. Solutions for the homelessness issue have had to develop slowly, and sometimes uncomfortably. Whether homelessness is a public responsibility has been debated for some time, but organizational efforts remind citizens of the ways they can help. Reynolds said that the best advice she can give to the public is to stop making assumptions and get to know people in this situation, in addition to educating yourself and finding someone or an organization that does know how to help. Dr. Woods said using strategic ways to keep drugs from entering communities is another way to help, and that the public responsibility is to have systems in place beforehand that keep people from becoming homeless. Atlanta Mission, a Christian nonprofit ministry, has grown from a small soup kitchen to a multi-facility organization that serves over 1000 homeless people in Atlanta with five shelters and other programs. There are many ways to help homeless people, whether it is with housing stability or with them not wanting to use drugs anymore. Bumpers said that because of this, most people have less of an inclination to help those holding up signs on the street or asking people for money. “We feel called to make sure we focus on that relational aspect, so we need to do that with each other,” Bumpers said.